We will be holding a faculty meeting the morning of November 29th. 8:30am classes will be canceled for the day, and all other classes will be held as usual. Students should arrive to school in time for their 9:30am classes. Please note that we are in the final grading period of the semester, and final exams are coming up the week of December 12th. Teachers will spend the week of December 5th preparing students for exams. It is imperative that students do not miss any of these remaining days of school. Friday, December 9th will be a fun day of activities before final exams begin on Monday, December 12th. All classes will be canceled for the day, and school will close early at 2:30pm. The last day of school for students will be Wednesday, December 14th. School will resume on Tuesday, January 3rd for the spring semester. For the November all-school field trip, we visited the Golden Gate Bridge. 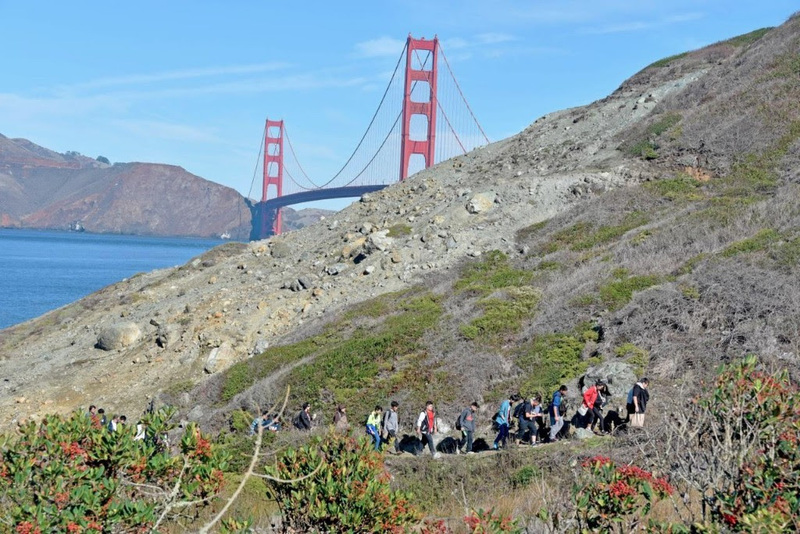 Afterwards, students hiked from the bridge to Baker Beach along the California Coastal Trial and the Batteries to Bluffs Trial. Students explored (dismantled) World War II-era anti-aircraft machine gun nests while taking in spectacular views of the bay and Pacific Ocean. After eating lunch at Marshall’s Beach, students finished the hike at Baker Beach. 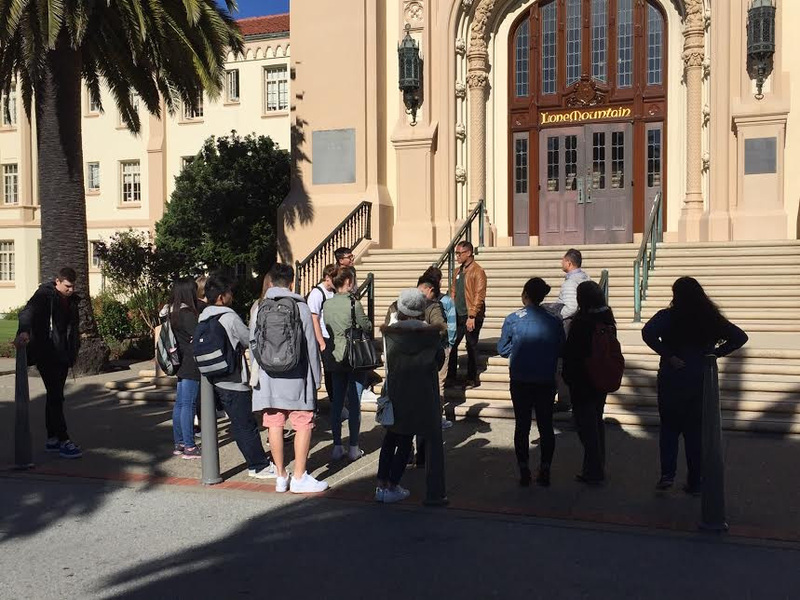 On November 17th, WIS Seniors toured the University of San Francisco campus. Receiving an official tour by a Student Ambassador, the seniors explored the halls and hangouts of the USF students. Not surprisingly, the dorm rooms have some of the best views of the City! PSAT scores for grades 9-11 will be available the week of December 12-16, 2016. Scores and an explanation of the scores will be handed out in class. Please complete College and University applications prior to our Winter Break! Copyright © 2016 Woodside International School, All rights reserved.